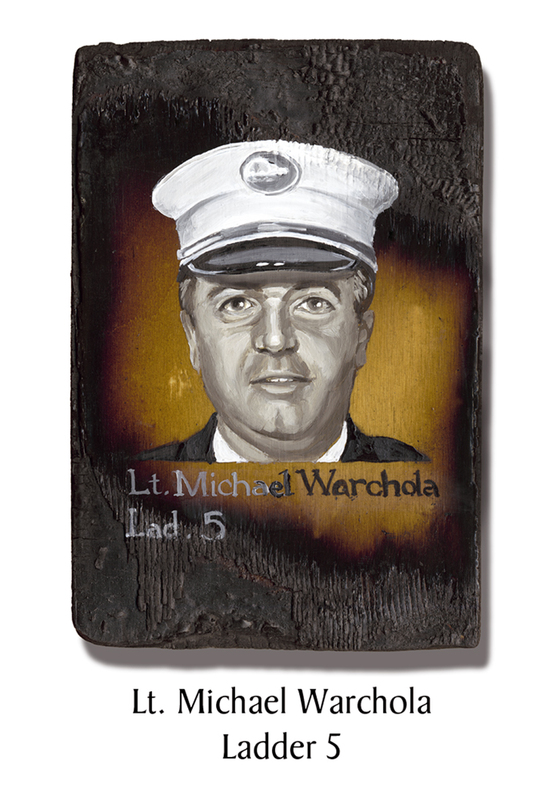 The last tour of duty for Lt. Michael Warchola was to have been September 13, 2001, when he was scheduled to retire after 24 years in the FDNY. When the Slovakian Prime Minister came a year later to run the NYC Marathon, he sought out Warchola’s brother, also retired FDNY. Although their European heritage had faded into ancient history for the family, their name remained a clear indicator of their roots. Asking for and receiving a picture of Warchola, the Prime Minister held it in his hand to show during a television interview on his return, emphasizing the international reach of the tragedy. This entry was posted in Better Angels Stories and tagged 343, better angels, Dawn Siebel, FDNY, firefighter, firefighters, firefighters of 9/11, Ladder 5, LODD, Lt. Michael Warchola, memorial, NFFF, paintings, World Trade Center, WTC. Bookmark the permalink.